Our Youth ministry is for grades 7-12, and meets throughout the year for service projects, worship, fellowship, retreats, lock-ins and more! To stay updated, join our email list or follow our Instagram at www.instagram/phpcyouth! Check out our Flickr page here! We strive to make our Youth House a place where all are welcomed into the community of Jesus Christ; a place where you are loved and accepted for who you are, free to be your true self, and to find people who will stand beside you as we all struggle to serve God. PHPC has an active and vibrant youth group, and we would love to have you join us! Are you looking for leadership experiences? Join our youth council! Needing decompression time? Join us at Wednesday Nights in the house- where we eat dinner together, watch a movie, and work on homework (sometimes). Hungry for a deeper spirituality? Join us Sunday mornings at 9:30 am for Sunday school! Eager to explore the world and make more friends? Make sure to sign up for some of our summer trips! There is room for everyone, so know that you are welcome here! Our weekly rhythm consists of several activities on Sundays in the youth house! We have Sunday school on Sunday morning from 9:30-10:30 am, youth choir on Sundays from 10:30-11 am, and youth group on Sunday evenings from 6:15- 8 pm (right after Worship at Five). In addition, our youth band practices in Founders Hall on Wednesday nights from 7-8 pm. All youth, 7th through 12 grade, are invited to the Youth house on Sunday nights from 6:15 to 8 pm for games, dinner, and small group conversations. This will be a time for laughter, faith development and lots of fun. I hope you’ll join us! Confirmation is a season of communal faith development and exploration, designed to help us articulate what it is that we believe. 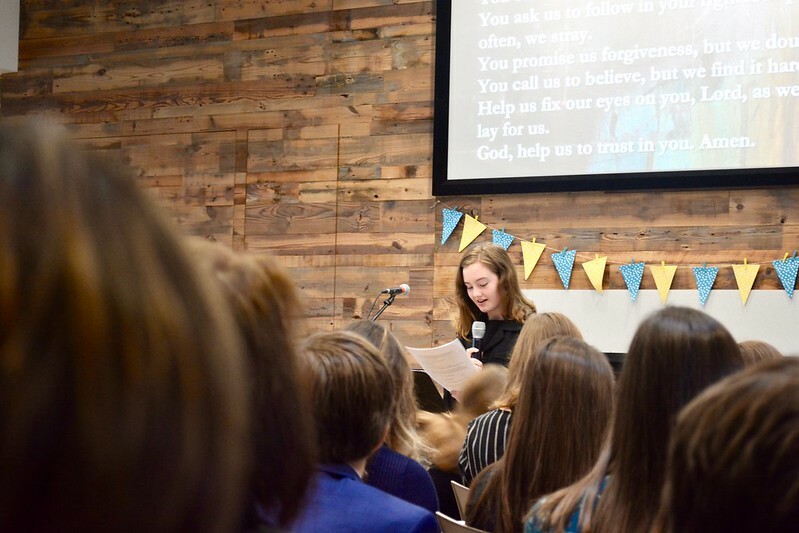 At Preston Hollow Presbyterian Church, we invite all rising 9th graders to join together in the confirmation experience, as we wrestle with questions such as “Who is God?,” “What does it mean to be a Presbyterian?,” and “What is grace?” Confirmation will begin September 9th and will run through November 18th. Youth will be celebrated in worship on November 18th at the 11 o’clock service. To register for confirmation, please e-mail Rev. Sarah Are at . We have many opportunities for our Youth Ministry to get involved in our music ministry! Please see our Music page for details. Signups for Summer Trips are available! Sign up here! Mission Trip to Heifer Ranch! To learn more about these trips and the requirements for them, please e-mail Sarah Are at ! We send a weekly email with news, event dates and photos! If you'd like to be added to our Youth email list, please contact Rev. Sarah Are at . Summer Trips! Click the photo to see more albums! Sign up for Summer Trips Here! Sign up for Lakehouse Retreat Here!